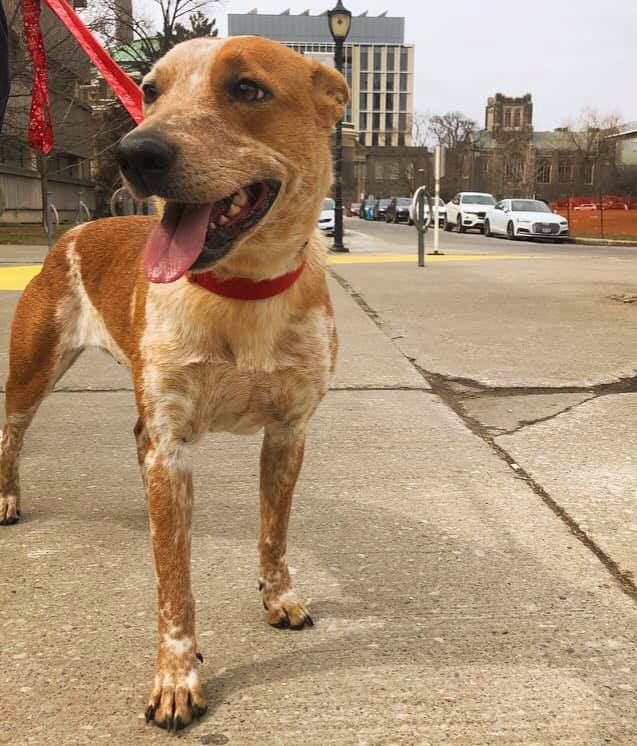 Waffles is an amazing girl and has made so much progress in the short time she’s been in Toronto! She’s extremely loving, kind and gentle with everyone she’s met thus far. She does well in her crate and slept in there the entire night without any accidents, whining or barking. In fact, she has yet to bark at all! She’s still adjusting to life in the city and needs time to acclimate to her new environment. Having a canine foster sister to show her the ropes has really helped with her confidence; stairs and walks are a little less daunting when you have a friend by your side! She really is the sweetest girl and we are so excited to watch her come out of her shell.